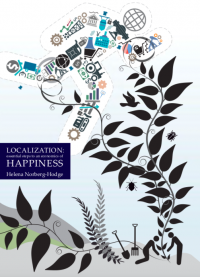 A more cooperative world is possible. If we were to put the entire history of humankind into a 24-hour-day, it would only be in the past couple minutes that civilization has looked like this. Pollution. Exploitation. Isolation. Disparity. Symptoms of a society out of control, and certainly not one that was designed to last. But what if we could live differently? 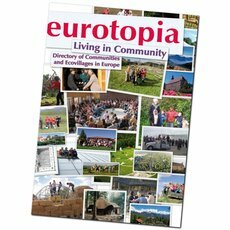 It turns out, more than 100,000 people already are, in ecovillages, cohousing, communes, and communities of all kinds around the world. 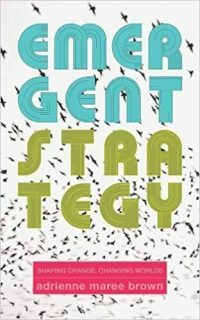 They’re working together to create fair, sustainable, and satisfying models of society. 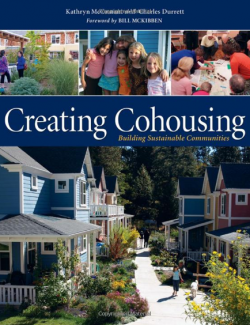 How can you find intentional communities? 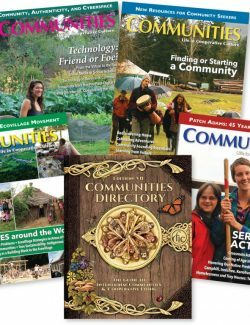 The answer is the Communities Directory — an online and printed catalog of intentional communities in the US, and all over the planet. 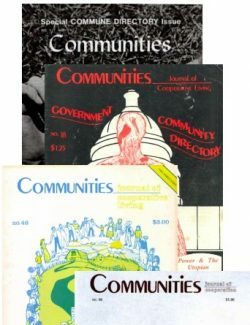 For 25 years the Fellowship for Intentional Community (FIC) has been building, innovating, and keeping this catalog fresh. 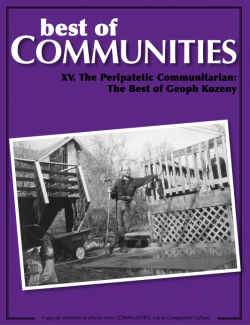 A book to find the community that suits you! 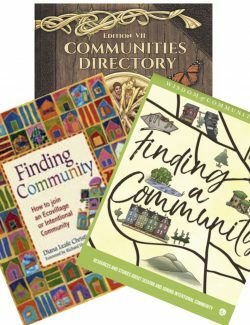 In addition to profiling more than 1,200 communities, the book includes full-page maps showing where communities are located, charts that compare communities by more than 30 different qualities, and an easy index to find communities interested in specific pursuits. 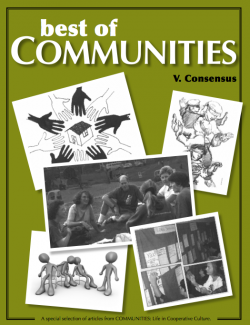 This epic book includes tons of bonus content, including articles on how to start or join a community, the basics of group dynamics and decision-making, and countless resources and links to help your community thrive! Digital edition: PDF, readable with Adobe Reader. Details: August 2016 release, paperbound, 8-1/2 x 11 inches, Over 600 pages! 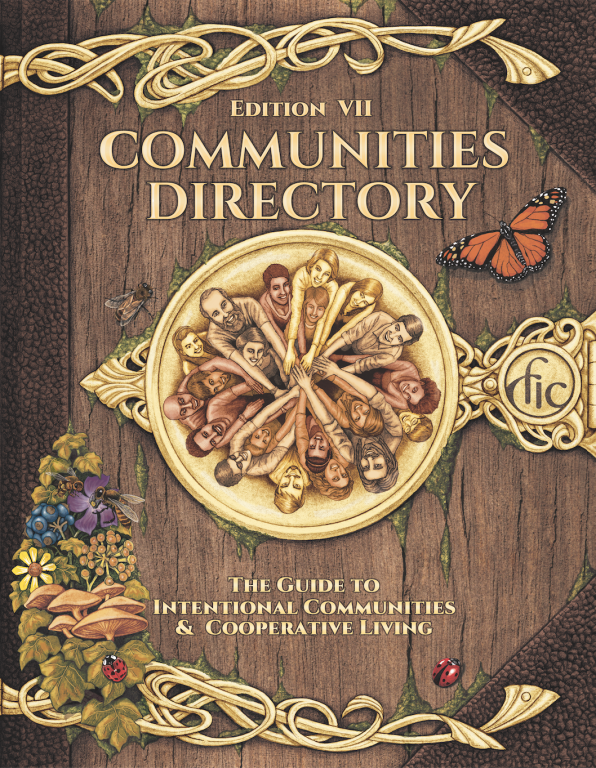 LISTINGS: Descriptions from over 1,200 intentional communities in North America and over 250 from around the world. Entries offer contact information, core values, availability for visits, and a glimpse of the vision that holds them together. MAPS: Maps showing community locations in the United States, Canada, Mexico and all around the world. The regional maps are great for trip planning and show proximity to cities and other communities. CHARTS: A fast and easy reference. 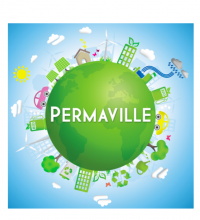 Searching for a large, urban ecovillage? Just use the handy chart to quickly find the community that meets your needs. 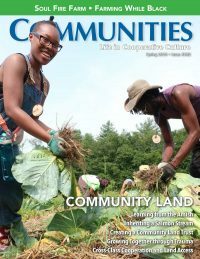 ARTICLES: Covers the basics of intentional community including what they are, how to visit, and the state of the communities movement.